Just Golden: A little game of "Guess who?" A little game of "Guess who?" Guess who got a "Get out of jail free" card? Guess who is growing tired of the whole puppy experience? This question has two answers. Guess who wouldn't trade it for all the tea in China? 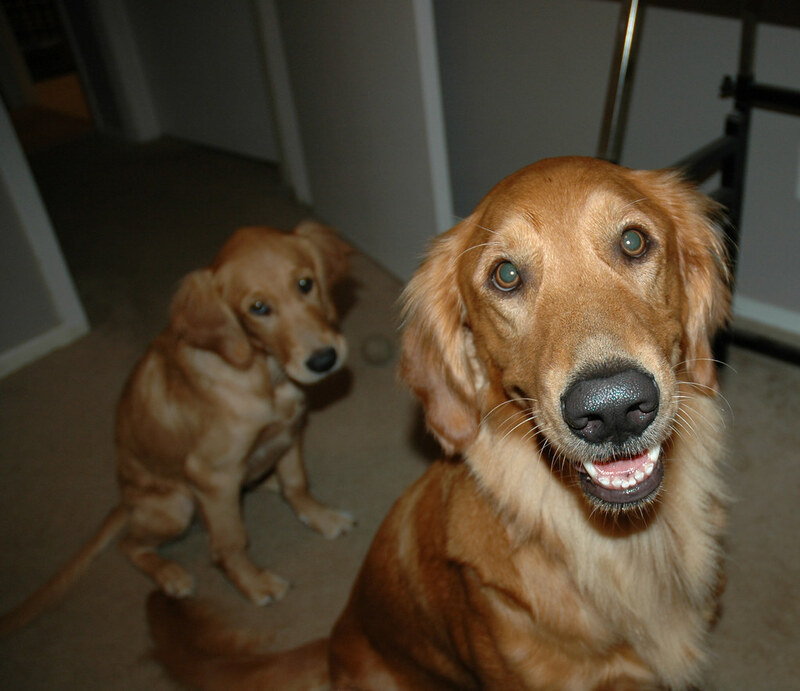 Sure look like they are contented golden pups. I hope no snakes ever bite me. Yeah, but the flip-flop helped loosen up the tooth!! If she had some nice rubber, squeeky toys she wouldn't have had to use your footwear. awwww the poor baby needed a teething ring, so she found a flip flop. Tess looks neon-blinking-arrow-pointing-at-her guilty. What was up with dogs yesterday? Cheyenne tore up every bit of everything in the trashcan yesterday. But I'm fond of her guilty face. I suppose the Canine Tooth Fairy is coming? they are so cute that they can always remain blameless no matter what they do. love pics of dogs with flipped ears. why do i feel the sudden urge to have more than one pet? why do i actually want a dog? i blame you. yup. those dogs can't type, now can they?